The most common indicator that rodent control is needed in your home or business is when you hear noises in the attic at night. As with other methods of pest control we provide, we recommend you contact us to request a free inspection if you are concerned about the possibility of rodents gaining access to your home. Upon contacting one of our pest control services technicians we will come to your home or business, conduct an inspection, and give you an idea of the severity of the rodent infestation. Rodents can be extremely damaging to the structural integrity of your residential or commercial property, making it incredibly important that you contact us right away — as most people try to eradicate the rodents themselves and prove to be unsuccessful. So what are you waiting for? Get in touch with us today and let us help you rid your property of rodents. Once rodents are inside a structure, they can destroy insulation, electrical wiring, plumbing, and other structural components of your home. Rodents are also known to spread as many as thirty-five different diseases to humans worldwide. These diseases can be spread either through direct contact with rodents, or by contact with their feces, urine, or saliva. These diseases may also be spread by being bitten by ticks, mites or fleas that have fed on sick rodents. Because of this, it is incredibly important to the safety of your family or the safety of customers that you take care of the infestation quickly and efficiently. With strategic trap placement along rodent runways around your home, our rodent control experts at Native Pest Management will quickly eliminate all roof rats and/or mice. Since rats can often be trap shy, proper trap placement is extremely important to prevent them from avoiding traps in the future. 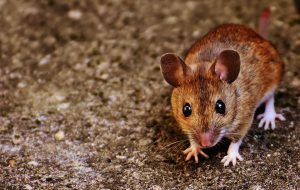 If you have a rodent infestation, property trapping can do more than just end the infestation, but it can also prevent future infestations as well. 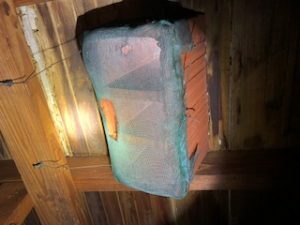 When we come to your home or business for an inspection, be sure to ask our pest control services technician about preventative trapping techniques. One of the most important aspects of rodent control is never allowing them to enter the threshold of your West Palm Beach area home in the first place. By utilizing practices of integrative pest management, our team of rodent control experts will seek out locations around your home that might be an appealing point of entry to a rodent. In addition to sealing off any potential entry points that a rodent could potentially exploit to get into your home or business, our pest control professionals will also have some other tips and tricks for you to use around your property. Be sure to ask our technician for more information about rodent exclusion! Since rats can travel up to 300 ft and have the ability to gain entry into buildings through a combination of jumping, climbing, and gnawing – we highly recommend contacting us to perform a free inspection of your home to identify and mitigate potential entry locations, which can be as small as 1/2 inch. With sharp teeth and the ability to compress their body to fit through small holes, roof rats can create various access points on the exterior of your home. The most common entry areas we need to seal include the AC chase where AC lines enter the home, plumbing vents on the roof, soffit vents on the eaves of the home, gable vent screens, and roof corner intersections. To properly rodent-proof your home, we will use a combination of materials including steel and copper mesh, steel hardware cloth, concrete, and caulk to seal holes and openings around the exterior perimeter and roof. At Native Pest Management, we believe in the quality of our work and back it up with a multiple-year guarantee that your home or business will remain rodent free following our rodent trapping and rodent proofing services. How can we guarantee that your home or business will remain rodent-free for the foreseeable future? We will periodically send a member of our pest control services team to your home or business to inspect it for evidence of rodent activity. If any evidence of activity is found, we will take the necessary steps to prevent further activity. Be sure to schedule regular inspections with us so that rodent activity can be caught before it becomes a serious problem. Upon completion of our trapping and exclusion program, we will install tamper-proof rodent bait stations on the exterior of the structure to ensure long-term rodent control on your property. It is important that the bait stations are periodically checked for activity that might suggest rodent activity — and if it does suggest rodent activity it is important that you get in touch with us right away. At Native Pest Management, we know that there is still work to do once rodents are removed from your home. Since rodent feces can transfer diseases, it’s important to ensure affected areas of the home are remedied. It is important to rid your home of business of rodent feces before it becomes a problem that can affect the health of your family, friends, or customers. To sanitize attics, we offer contaminated insulation removal and replacement to restore your home to the clean state it was in prior to rodents moving in. We also provide attic fogging with a disinfectant that is highly effective against disease-causing bacteria so that you can rest assured knowing that you, and those around you, are safe. If you have rodents inside, or outside your home or business don’t hesitate to contact us today. As rodent control professionals that specialize in integrative pest management, we know that the best way to get rodents out of your home is to never let them in at all. If your home or business is currently infested, be sure to contact us immediately. We will come to your property, provide you with a quote, deal with your rodent problem, and ensure that a long-term solution is in place so that you will not have a rodent problem in the foreseeable future. At Native Pest Management, we stand by our work. Contact us today for our rodent control services and a free home or office inspection. We look forward to helping you create a healthier and safer home or business environment.